Reach out to JCHAI to get connected with our team to get more information about services and programs. JCHAI offers an apartment program at the Radwyn Apartments in Bryn Mawr, PA. It fosters key social and interpersonal skill development that enables members to live and work independently with daily supports in the community. The JCHAI At Home program provides highly skilled social workers who support independent living and working for members who live in their own apartments or are living with their families with the goal to live independently. 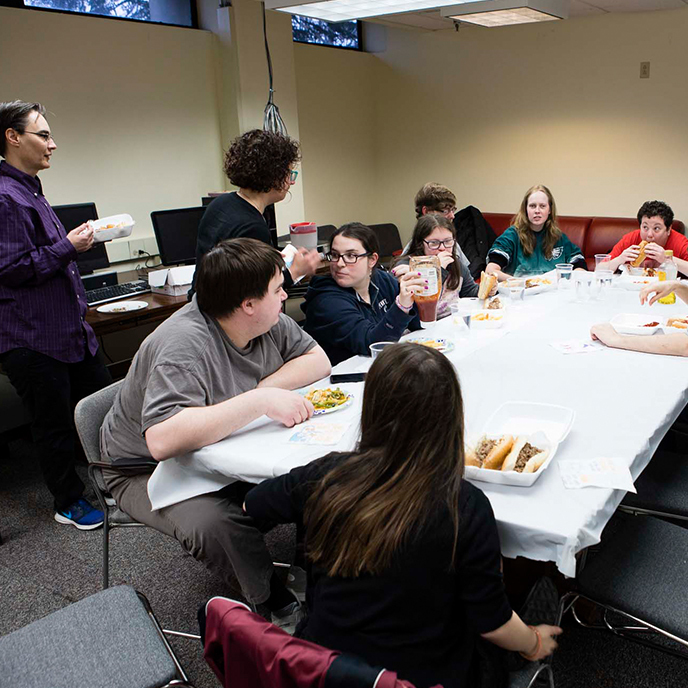 JCHAI Transitions encourages a smooth transition for younger adults so that when they finish high school, they can leave home and live separately from their families (with supported living) in the same way that typical children leave home and go off to college.